In an industry saturated with product offerings it is understandable that consumers are faced with confusion and sometimes dragged by the common denominators towards a certain brand or product purchase. But how many consumers truly understand what they are buying and, what the differences are between products?… Should you focus only on price? Is brand recognition a determinant factor?… Or, are features and value the real determinants? For us, the latter is the most important attribute consumers should focus on. Although price and brand recognition is certainly an important factor, we feel that “Value” is a more important one. – What you get (quality of product) for the money you are spending (price). “In the absence of value, price becomes a determinant factor; when value is present, price becomes less relevant… look for opportunities in greater value and not in lesser price.” – Andres Estevez MBA, Cycling Shop Owner & Entrepreneur. For the sake of simplicity and not to drag out this post, we will use Basso Bikes as an example of a “Valuable” product for the cycling consumer, but we emphasize that this approach can and should be utilized for other products and industries. What makes Basso Bikes a “Valuable” brand and their products more valuable than some others in the industry? 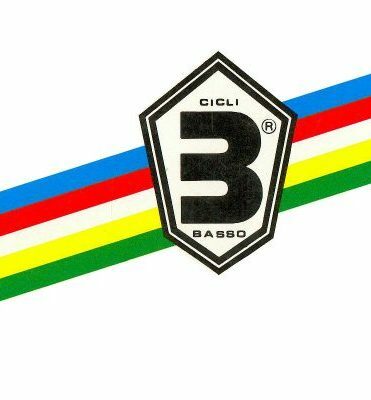 To begin to answer this question it is important to understand where did Basso Bikes come from?… To start, Alcide Basso, brother and mechanic of Marino Basso, the 1972 world champion and 27-time Grand-Tour stage winner, founded the brand in 1977. The brand launched from the success of Marino Basso and the Ingenuity of Alcide Basso and headquartered in Vicenza Italy. This region famous for nearby mountain passes and an other many world tour sites is the home base of many other Italian brands like Campagnolo, Selle Italia, Fizik, Giordana, and more. This provides an additional boost in development and ingenuity by being surrounded by other innovators, very much like Silicon Valley is the cradle of technology for the world; Vicenza is the cradle of technology for Italian cycling. Having the unique first hand experience of world tour cycling and being in the right location, the Brand excelled in product development and most importantly in delivering a product that was/is: engineered, fabricated, tested and eventually used by those intended to be the end users. The Basso brand started and continues to be managed by people who have devoted their entire life to riding, building, and perfecting bicycles. Therefore the level of experience not only from the engineering point-of-view, but also from a consumer experience point-of-view, is really an important point of value creation. This brings us to our first value point: The people behind the brand. What makes Basso bikes unique among other great brands? What makes their product more valuable? 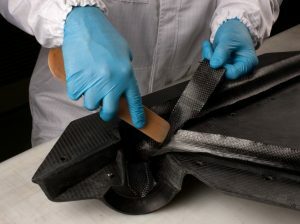 As a producer of carbon fiber bicycle frames, Basso is unique in the industry not only for their quality bicycle frames and components, but also for their relationship in producing parts for Formula 1 and World Rally Championship vehicles. Their outstanding quality control and level of attention to detail in fabrication has not only excelled in the cycling world, but also trusted by two of the world’s leading technology forerunners. Undoubtedly, the brand has a high standard for bridging a balanced and precise relationship between both man and machinery to eliminate even the minutest defect because they understand the risks that failure could have on the end goal of the user if not the user himself. The attentive consumer will discover that the Basso product offering displays an uncommon but important detail on all their frames. Carbon frames produced by Basso showcase without deception, what level of carbon fiber is used on the different parts of the frame and also, how they are used (laid-up). This shows what grade of materials is used and the purpose of the laying according to a specific design goal and characteristic for that particular frame. This means you don’t have to guess if the bike will be comfortable, or stiff, or how compliant or racy will be. 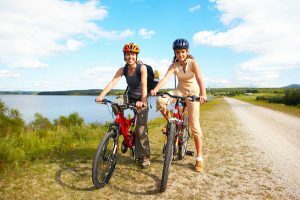 We’ll, it is very important when comparing apples-to-apples at the time of purchasing a good bicycle. Knowing what you are getting is part of knowing what value the product has; and whether or not you are making a good purchase vs. a cheap purchase. Basso Bikes are made using Torayca Carbon fiber, made by Japanese Based Toray who is the number-one raw carbon fiber producer in the industry by performance, quality and volume. For example, the Basso “Venta” Frameset, is often perceived to be an entry-level bike just because it is the least expensive (price) offering in the road lineup. However the bike offers a ton of value that dwarfs other big contenders like top-class Scott, Specialized, and Treks for example. The Venta and all the other Road frames are made using only carbon fiber without the use of metal reinforcements. This increases the performance and maintains a low weight. You may not even find this feature on a “top-level” marketed bike from another brand. Head Tube: 2 x 0° + 4 x 45° the most rigid part of the bike, great handling yet comfortable. Seat Tube 1 x 0° + 3 x 22° comfortable and vertical shock absorption. Chain Stay and Seat Stay :1 x 0°, 3 x 22° + 1 x 45° light and stiff to lateral torque. 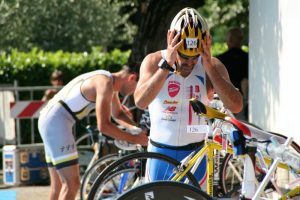 The bike is light yet strong, stiff where it must be, compliant when it needs to be and able to transfer the most power from your legs to the road. This brings us to our second value point: the best quality raw materials and manufacturing. So we have covered people, materials and manufacturing, and what is left? .— Well the product features of course! Once we have learned what matters most about the brand, which is different to how many magazine covers it holds. We can move on into the product itself and examine the features that make it more valuable. – Again, not to drag out this post even more we will focus on some general features that apply to most of the product offerings and mention only a few specific ones. These days we are most accustomed to looking at what components a bike is built with, whether it is Shimano “105” or Campagnolo Super Record but we fail to see what makes “the bike” unique. Basso has introduced quite a bit of cool and useful technology into their product offering while maintaining the tradition and design lines that make the Italian brand shine. Starting with the most common elements that we are probably more familiar with are the tapered steering, internal cable routing, and integrated seat post retentions systems. Basso has included also a specific “tubing” shape called “Diamante” for better aerodynamics and handling. Integrated headset spacers not only adjust the height but ad to the rigidity and keep the aesthetics of the bike and the aerodynamics. Also for the front end the recessed head tube to allow for a lower more “racing” position without the need of extra long and extreme angled stems. This is our third value point: Technology with purpose on the product offering. What do we do with this information now? I don’t have time to do a research paper every time I want to buy a new bike? – You don’t have to. Now that you have learned how to accurately differentiate the value of the product from the price of the product you are better equipped to go out hunting for your next ride and compare apples-to-apples. You will be able to identify truly great deals and purchase something that not only cost less but makes the most sense for your riding style. You will not ask for the brand “X” 105 bike with carbon wheels at one store and then go on to the next to get another brand “Y” bike, because you know that the two bikes are completely different, and although you might be saving on price, you most certainly will be loosing in value. We urge you to look into the BASSO product offering since it was the heart of our discussion here and we truly believe that the level of value you get from their product is of the very best the industry has to offer. Questions and comments are welcome! Happy Riding!